The successful development and deployment of expert system tools spurred the initial momentum in developing and using intelligent techniques in industry. The brittleness of expert systems and the enormous effort involved in the development and maintenance of knowledge bases prompted researchers to seek friendlier approaches. Neural networks, fuzzy logic, and evolutionary computing tools added a new dimension to the quest for more intelligent tools to supplement the capabilities of expert systems. 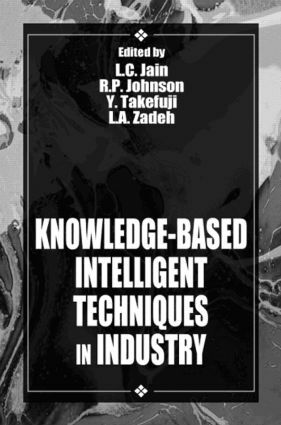 In one volume, Knowledge-Based Intelligent Techniques in Industry comprehensively brings together the more important developments in the use of intelligent techniques in solving industrial problems. The book's primary readership includes electrical engineers in industry as well as researchers working in computational intelligence research labs - outlining state-of-the-art techniques and cost-effective solutions. Knowledge-Based Intelligent Techniques in Industry singularly reflects the increasing study of computational intelligence techniques for designing and monitoring complex, less predictable electrical or mechanical systems.